India Kawasaki Motors has delivered the country’s one and only Ninja H2R, the most powerful production motorcycle in the world, to its customer on 3 March 2019. The Kawasaki Ninja H2R is the first four-stroke, supercharged motorcycle from a major manufacturer. For 2019, the Ninja H2R benefits from updates that include Brembo’s new Stylema monobloc callipers, the new “Supercharged” emblem and Kawasaki’s Highly Durable paint. Costing INR 72 lakh (ex-showroom), the Kawasaki Ninja H2R is one of the priciest motorcycles of India. 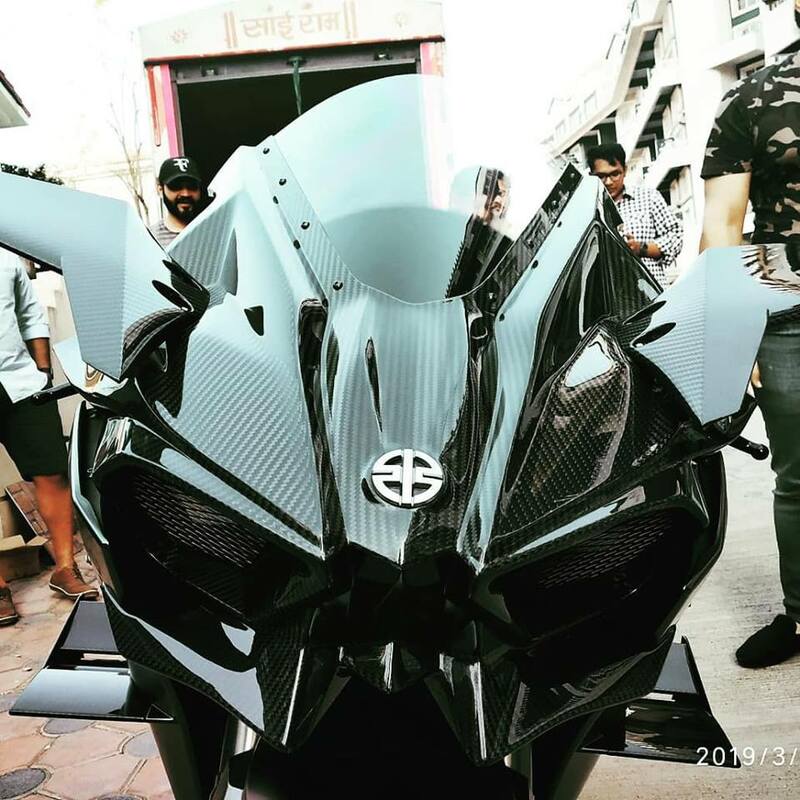 India Kawasaki Motors delivered the country's first and only Ninja H2R to its owner on 3 March 2019. The company has no other deliveries scheduled in the near future. The motorcycle also gets the Kawasaki River Mark. It has been a long-time symbol of the Kawasaki Heavy Industries Group dating back to the 1870s. As a policy, it is used on products that are rare and limited to models with historical significance. We are indeed happy to deliver our flagship model, the Ninja H2R, in India. Kawasaki has stunned the world with this model. 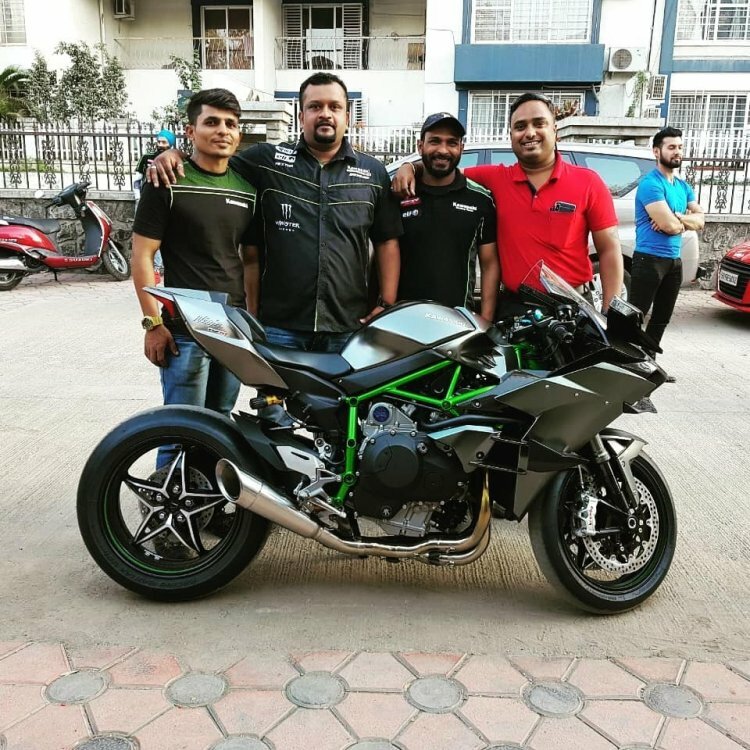 The Ninja H2R is the world’s supercharged hypersport motorcycle and to deliver one unit in India is certainly a proud moment for Kawasaki India. The Ninja H2R is designed to be used on the racetrack only and thus you would not see the motorcycle on public roads. There are several units of the street-legal version of the supercharged motorcycle, the Ninja H2. The in-house-designed engine features a motorcycle-specific supercharger that provides the H2R with colossal power and acceleration." The supercharger’s efficiency and minimal heat gain meant that an intercooler was unnecessary, which also helped shed weight and space. The Kawasaki Ninja H2R is a track-spec model, and so, it does not feature a headlight, blinkers or rear-view mirrors.